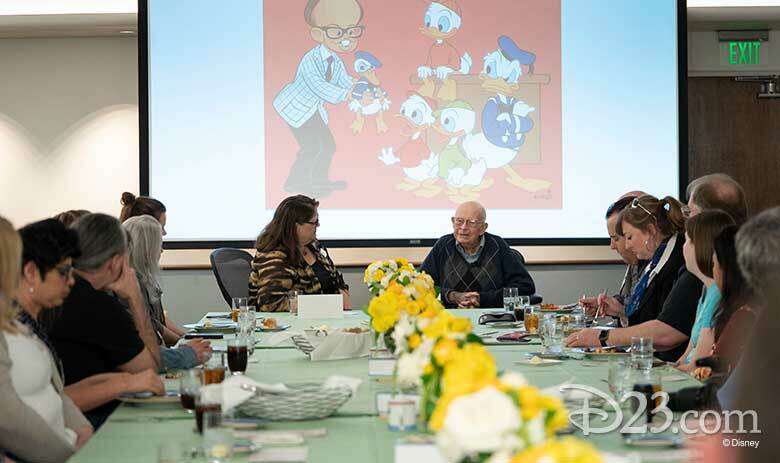 To celebrate Dave’s incredible career—and welcome him to our first D23 event of 2019—30 D23 Gold Members and their guests gathered for an exclusive, intimate lunch experience with the Disney Legend. 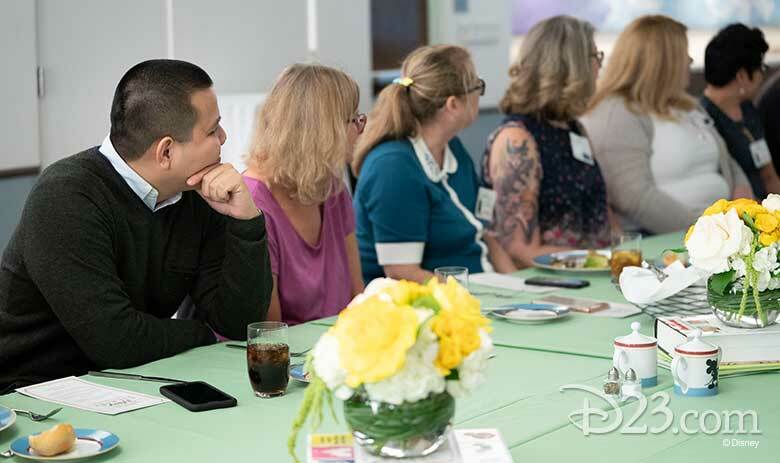 Arriving guests were greeted by Michael Vargo, head of D23, who welcomed them to a private dining room inside the Buena Vista Commissary. 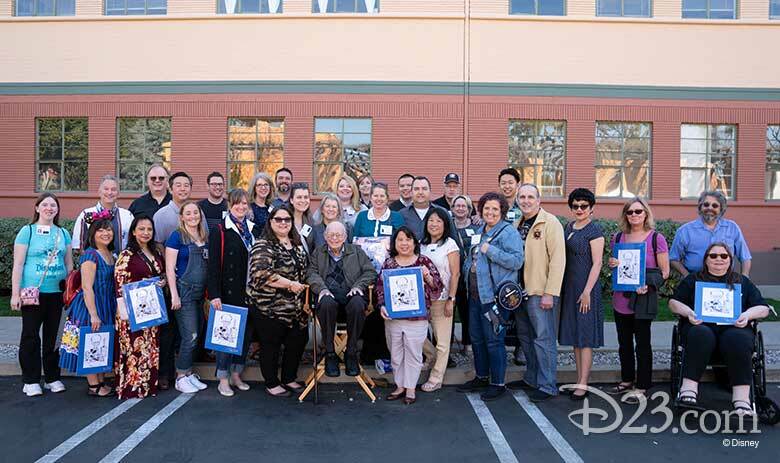 The event kicked off with a heartfelt tribute by Dave’s successor—Walt Disney Archives Director Becky Cline—who shared photos and stories from Dave’s four-decade-long career at The Walt Disney Company. 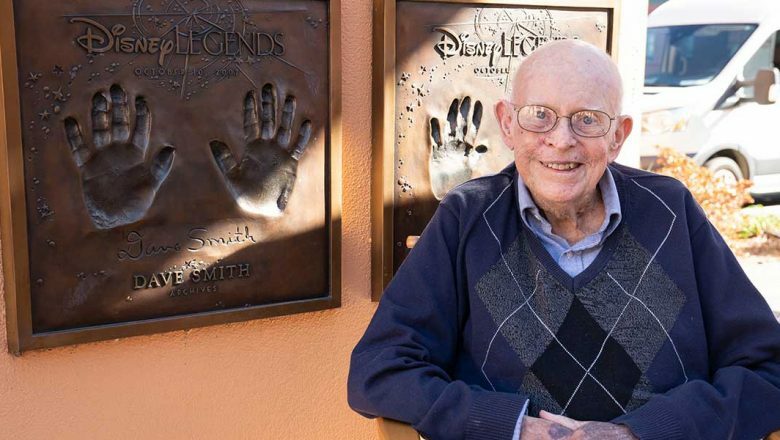 During an elegant three-course meal, Dave recounted fascinating memories of establishing the Walt Disney Archives, from receiving the grand master key that opened every door at the Disney Studio to making some amazing discoveries inside Walt Disney’s offices. 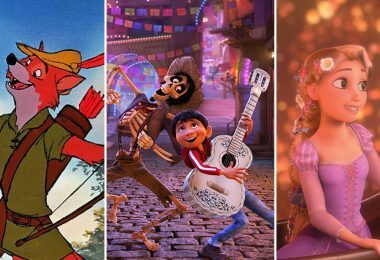 While taking questions from the D23 members present, Dave also answered questions about his still-running “Ask Dave” column, and about creating, among many published favorites, the ultimate encyclopedia of all things Disney, Disney A to Z! 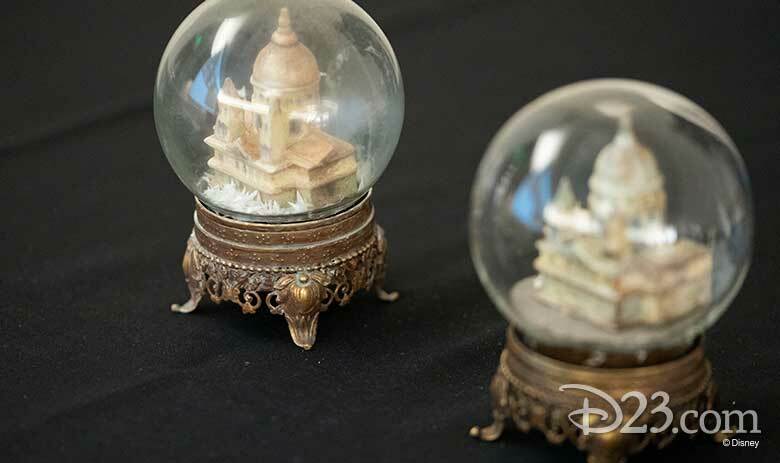 The Walt Disney Archives was generous enough to bring along both the original snow globe from Mary Poppins (right) and the replica created for Mary Poppins Returns (left). 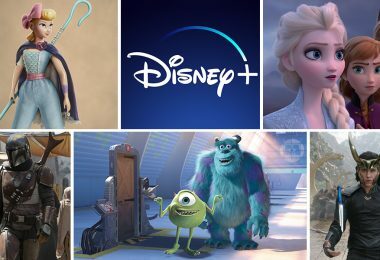 Lucky guests were treated to a showcase of rare artifacts, including the Walt Disney Archives’ guestbook, featuring pages signed by dignitaries and celebrities, along with the original snow globes from both Mary Poppins and Mary Poppins Returns, the former having been rescued by Dave in his early Disney Studio days. 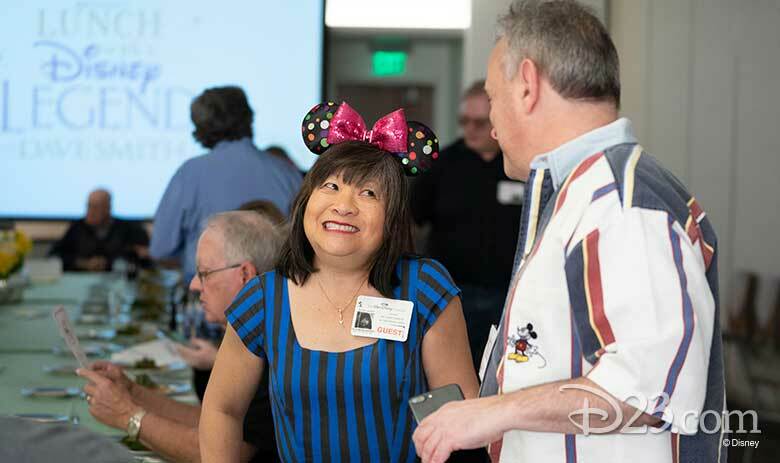 Dave even brought along the original pencil that he purchased as a teenager at Disneyland when he spotted Walt Disney and asked for an autograph! 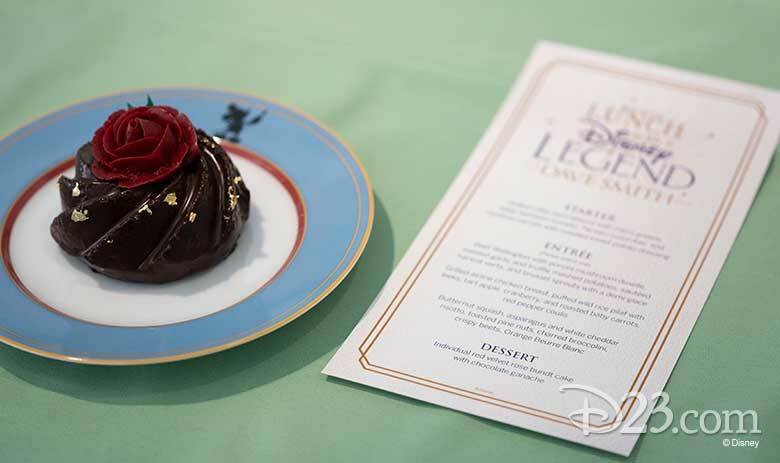 As a delicious finale, guests were surprised with a picture-perfect dessert inspired by one of Dave’s favorite Disney films, Beauty and the Beast. And if that sweet touch wasn’t enough, each attendee received a truly unique gift: a printed caricature of Dave, signed by the Disney Legend himself! After a lunch to remember, the group then headed to Legends Plaza to take a photo with our guest of honor and his plaque. 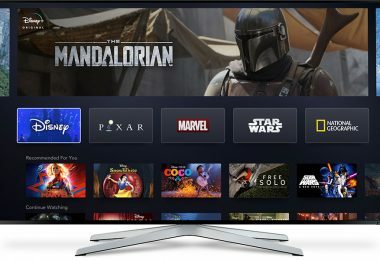 Thanks to all of the fantastic D23 members who joined us! 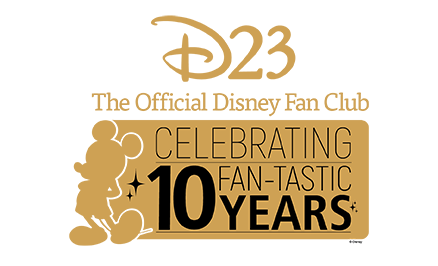 We look forward to celebrating 10 FAN-tastic years of D23 all across the country with special events throughout 2019. 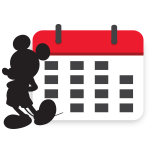 Click here to explore D23’s 2019 calendar of events.